Ready to take your company to the next level? If so, then it’s time to look at some new Internet marketing strategies. You’re probably already doing a lot of things right. Now, it’s time to uncover a few of the not-so-well-known techniques that can boost your bottom line and improve your ROI. In this article, we’ll look at some Internet marketing strategies that you’re probably not doing but could give you a big return. You’re marketing isn’t done just because visitors click the “Checkout” button. You need to keep marketing even while they’re checking out. Otherwise, you could lose some customers right before they open their wallets. Keep the marketing going through the checkout process by highlighting the benefits of each product when people are reviewing their orders. Many ecommerce sites don’t do that. That line item doesn’t continue to market the product. It’s bland. 1 Power Drill – Make woodworking a breeze with this high-performance power drill. Its compact design makes it easy to fit into tight areas. Further, it comes with its own carrying case – a $19 value! That’s a little better, isn’t it? The line item doesn’t just tell people what they ordered, it reminds them why they ordered it to begin with. Think about other ways that you can continue to market your products throughout the checkout process. You’ll likely see a lower shopping cart abandonment rate. Guess what? Even if you successfully market your products throughout the checkout process and land additional sales, you’re still not done marketing. You need to keep marketing even after people have given you money. For example, instead of displaying just a typical, boiler-plate “Thank You” page, why not use that page to market your brand a little more? Ask for a social share in exchange for a discount code. Offer a free gift in exchange for a referral. Men’s grooming brand Harry’s launched a successful post-conversion marketing campaign by offering free products to people who got their friends to sign up to its email list. The company snagged an additional 100,000 subscribers that way. You probably have the email address of customers who buy from you. Send them a follow-up note after they’ve received their order to make sure everything is okay. That tells customers you care. When customers know you care, they might come back to make additional purchases. Also, send recent buyers a discount code for their next purchase. You might take a hit on your margins, but you could also generate some lifetime customers. Remember: as a rule of thumb, it costs much more to find a new customer than it does to earn repeat business from existing customers. Do what you can to market to those existing customers. It’s always a great idea to quote others in your blog posts. That makes your content more persuasive. If you’re quoting peers in your industry or subject-matter experts (SMEs) who are active online, you should reach out to them to let them know that you quoted them. That won’t just boost their egos, it might also boost your brand. Why? Because they might share your notification with their followers. For example, let’s say you send out a tweet that links to your article and tag a SME who’s quoted in it. That person might retweet your tweet. Their followers will see it. Some of those followers might be potential customers. Also, drop the SMEs an email letting them know that you mentioned them. Ask them if they’d like to guest-post on your blog sometime. Again, that might seem like it’s just for their benefit, but it’s also for yours. When they post content on your blog, they’ll likely link to that content on social media. The people who follow them will click the link and visit your blog. You should also ask experts straight-up to link back to your site at some point in the future. Most of those people understand karma. Visit Google Search Console and check your search analytics. Note your top trending keywords and their respective click-through rates (CTRs). Is there any room for improvement? If so, optimize your content so that more people who view it in the organic search results click on it. Rank “above the fold.” An older study shows that people spend a whopping 80% of their time looking at “above the fold” content. That’s content people can see without scrolling, or Positions 1 – 5 in the results list. So if you want more clicks, don’t just aim to rank in the top ten, aim to rank in the top five. Get some more authoritative backlinks and increase your dwell time so you can do that. Use the increased meta description length. Google recently expanded the meta description length to 320 characters from 160 characters. That gives you even more opportunity to market your content. Make sure you take advantage of that new length to create keyword-rich descriptions of your articles. Keep your titles short and sweet. Although you should create keyword-rich titles, you should also keep them short and to the point. If your title goes over 78 characters, it could get cut off. When that happens, people won’t see your entire title and will likely skip past it while looking for some other matching content. Use clickbait titles. Even short titles should convince people to click your link in the search results. Head over to sites like BuzzFeed and Cosmopolitan, which are known to produce clickbait headlines, and look for inspiration. Also, plug your subject into BuzzSumo and see if you can get some ideas from the headlines that the tool returns. Finally, Brian Dean and Larry Kim have a great infographic on how to improve your CTR by optimizing titles. Use rich snippets. That way, your link stands out from the crowd when it displays in the search results. That added flair should give your CTR a bump as well. Duplicate what works. Take a look at your pages with the best CTRs in Search Console. See if they have anything in common. If so, copy what works onto your pages that don’t have very good CTRs. That might be all you need to do to give them a bump. What are your top performing website segments? How are you using those segments to take your marketing to the next level? One way you can do that is with popups. For example, let’s say you’re running an e-commerce site. You check your analytics and notice that one particular category outshines all the others in terms of traffic. That category page is an excellent place for a popup. Put some copy in it so that it appeals to the market segment that’s interested in the category. You can do the same for other segments as well, such as a specific product detail page, a blog post, or even a search result. As a rule of thumb, you’ll probably want to use an exit-intent popup. That’s a popup that only appears when the user is trying to leave the page. That’s important because exit-intent popups are less intrusive than popups that appear immediately or after the visitor has spent a certain amount of time on the page. Popups that interrupt people when they’re reading your content or shopping on your site are annoying. It’s best to avoid them as much as possible. Get people to sign up to your email list – Remember, it’s usually best to offer people a freebie in exchange for an email address. You can give them a discount code or a link to PDF file that’s packed with lots of life hacks that folks in your target market will find useful. Offer a discount code – A simple “Before you leave, please accept this discount code” box might be all the incentive that’s needed to close the sale. 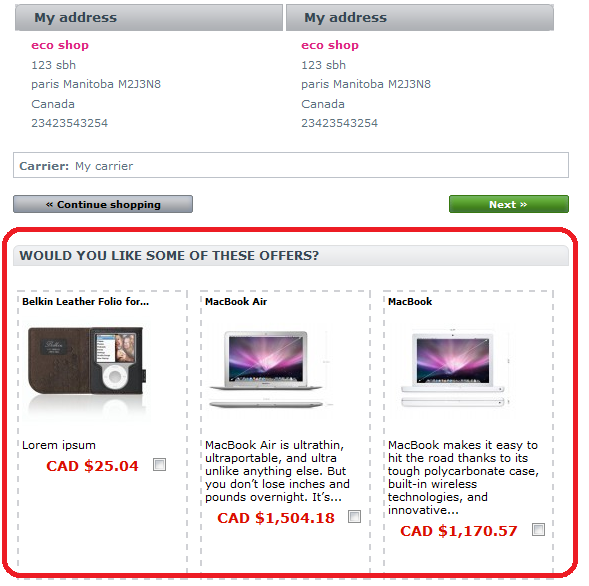 If possible, put a time limit on the coupon code so that you can create a sense of urgency. Advertise current sales – People are always interested in saving money. Before visitors head out of your site, show them a popup that advertises your deals of the day. When they click on the CTA in the popup, they’ll visit a page that shows your current sales. Improve visitor experience – Use your exit intent popup to ask people why they’re leaving your site. Give them a multiple choice selection with checkboxes so they can click more than one option. Collect the data and use it to improve visitor experience on the site. Have you heard about life event targeting with Google AdWords? That might be a great way for you to claim a little more market share. Life event targeting is especially valuable if your target market consists of people going through one or more of those life events. For example, if you’re running an online florist, then it’s safe to say that people who are about to get married are in your target market. Also, you might have noticed that the list of life events tends to favor millennials. So if millennials make up a significant part of your target market, you should consider targeting them by life event. Fortunately, it’s easy to specify life-event targeting in AdWords. Even better: you can layer your life-event targeting with other audiences. That will give you laser-like focus for very well-defined segments. Some marketers swear up and down by referrals. That’s because they’re an effective way to increase market share. If you’re looking for a “quick win” in terms of growing your customer base, why not appeal to your existing customers? Offer them a 10% discount for each referral. For example, if one of your customers refers 3 people and 2 of them become customers, then he or she gets a 20% discount on the next order (10% x 2 referrals = 20%). Sure, a referral program like that will eat into your margins. But ask yourself this: is that kind of promotion more or less effective than running ads to complete strangers with Google AdWords? Chances are pretty good that folks will respond better to referrals from people they know than to ads they see online. That’s one of the reasons why you should be willing to pay a premium for referrals. Also, consider the lifetime value of a new customer. If you’re running a shop that gets a lot of repeat business from existing customers, then that 10% discount per referral is a great way to get some long-term customers to your site. Those customers will more than make up for the loss in margin. A discount-per-referral program is definitely an expensive growth hack, but it can be lucrative in the end. We’re pretty far into the 21st Century at this point. What marketing automation strategies are you using to streamline your growth? One great opportunity is with cross-selling and upselling. According to the book Marketing Metrics, the probability of selling to an existing customer is 3x greater than selling to a new customer. Please note that an existing customer is somebody who’s currently in the checkout process. Use that process to convince the person to buy even more. Fortunately, most of the state-of-the-art shopping cart solutions give you cross-sell and upsell capabilities. If yours doesn’t, talk to your development team about getting it set up. A great marketing message to use when upselling is to convince the customer about economies of scale. In other words, if the customer is buying the 6-ounce package, explain that he or she can save even more per ounce by purchasing the 12-ounce package. That often does the trick. When it comes to cross-selling, convince customers that the complementary product is a must-have. For example, if the customer is buying a power drill, show a message stressing the importance of quality drill bits to go along with it. You’ll have to come up with the right message for each product or service you offer. Once you do, let your marketing automation software do the heavy lifting by displaying that message to customers during the checkout process. If you’re in the B2B space, you should be on LinkedIn. One of the best ways to use it is for lead generation. Start by running ads. Fortunately, LinkedIn has an ad category specifically designed to collect leads. When you run a lead collection campaign, people who click on your ad are taken to your landing page. That page should have a clear call to action (CTA) button that reads “Request More Info” or words to that effect. People who click on that button will enter their email address and voila! You have a new lead. Of course, ads on LinkedIn do cost money. But think about the lifetime value of a new customer. If only 1 in 100 leads pans out, is that worth the investment? If so, then advertise. Another way to grab some leads from LinkedIn is to join groups where your potential customers hang out. Use those groups to answer questions and demonstrate that you’re a SME in your niche. People who notice that you’re an expert will call on you for assistance at some point in the future. They might even become regular customers. Also, turn your profile page into a landing page. Use a catchy image. Write a description that advertises how you benefit your customers. Then, people will be more likely to click on your link the page. You should also create a Showcase Page. Use it to highlight a recent venture or a part of your business. Target that page towards a specific segment of your market so that it has a more personalized message. Take a look at the Salesforce LinkedIn page for an example of how to use Showcase Pages. Finally, remember this rule above all else: LinkedIn is about networking. As any successful networker will tell you, it’s important to use your network to help others. Then, the laws of the universe will work in your favor as people eventually help you in return. Now that you know about a few new Internet marketing strategies, how are you going to implement the ones that are best for your business? Think about the options that make the most sense right now. Then, sit down with your team and put together a plan to roll them out.